Or perhaps you’ve been given better information than we. Regardless, the day does bring to mind thoughts of goalie masks, machetes, and hormonal, camping teens; thoughts we are well equipped to address. Look, we don’t specialize in indexing emotionless, cold-blooded, indestructible, mass-murdering movie monsters, but they do get indexed all the same. 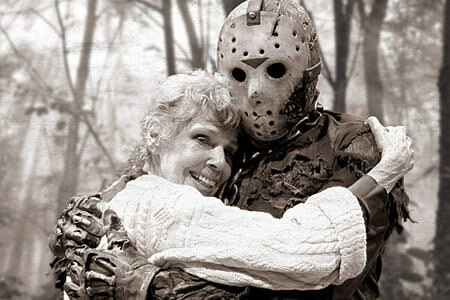 Few are as well represented on the Web as Pamela Voorhees’ oh-so troubled, lake-dwelling boy, Jason. Check out his PeekYou profile here, where you can investigate the many internet haunts — containing a vast assortment of media — where his iconic name can be seen, and his hulking presence can be felt. And, for the love of goodness, be careful out there today.